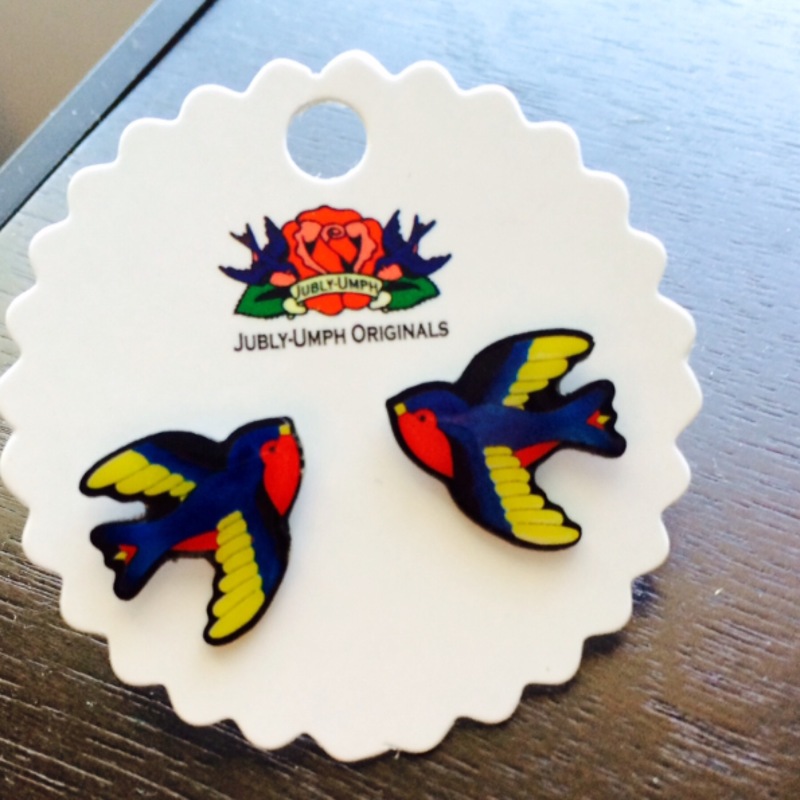 I never expect to find gorgeous jewellery at events like the Supanova Pop Culture Expo (Australia’s own Comic Con), but stumbling across Jubly-Umph‘s quirky accessories stand back in June made my day. The Melbourne based indie designer has a knack for all things retro and rockabilly inspired, featuring bright colours and an eclectic, kitsch vibe. I picked up two pairs of super cute earrings at the yearly nerd fest (E was in her element, she’s a geek at heart but that is what I love about her). 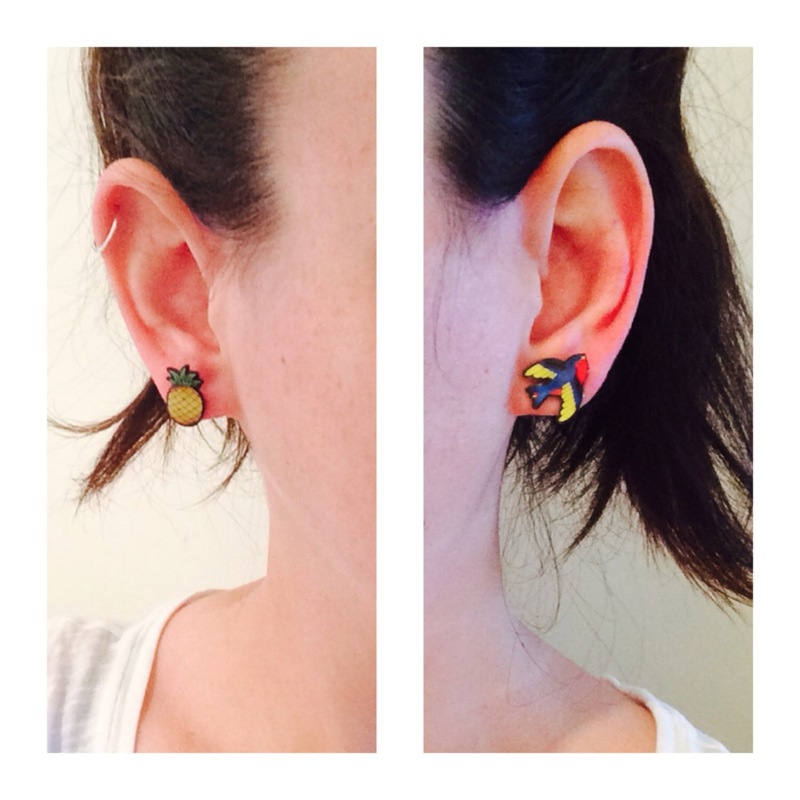 Quirky blue birds and tropical, bright pineapples for a bargain! The label also has a huge range of necklaces, handbags, fine art and other fab accessories. Next on my wish list is this colouring book, what a super cool idea. Jubly-Umph’s latest collection “Super Kitsch” feels like you’ve just stepped into grandma’s lounge room. Rollerskate studs, measuring tape bow necklaces and sewing machine pendants compliment the vintage vibes of the collection. I want it all. Do you like retro-inspired accessories? I will .. Thank you !